Today it is essential that software can exchange data with other software to ensure an effective data flow, where information is stored only once and then propagated to other software that require the same information. It must always be the goal to type in data only once and then re-use this very same information across all software that require the data, and allowing resources to be freed for more creative work within the company. 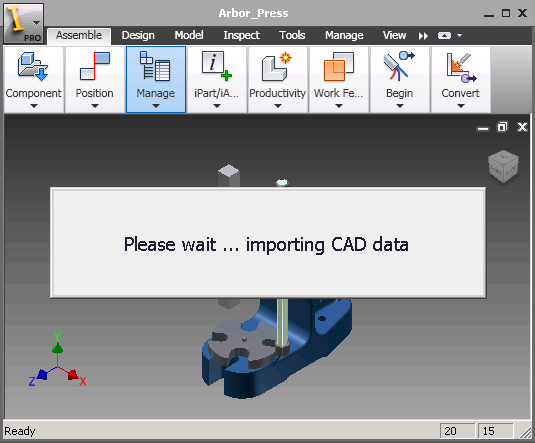 A CAD integration Software is a tool to ensure that and can be named as a CAD PDM or CAD BOM software system. 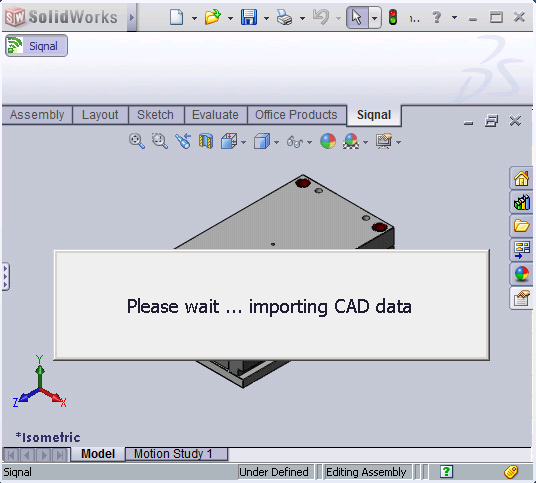 The Siqnal CAD Integrator, integrated with SolidWorks is an example of a CAD PDM or a CAD BOM integrator software tool. The Siqnal CAD integrator, integrate with Autodesk Inventor and SolidWorks. When the Siqnal CAD integrator are installed and enabled, an icon will be present in Inventor and/or SolidWorks, when an Assembly is opened. The Siqnal icon will automatically be placed next to the Bill of Materials icon in Inventor and on its own Tab in SolidWorks. When the icon is clicked, Siqnal will start as a modal pop-up screen, to ensure that no modifications happen to the active Assembly while working in Siqnal. By clicking the Siqnal icon, the Siqnal module BOM Lines is opened and CAD data are transferred. The file name, part no and description fields are transferred to the Siqnal BOM Lines and when Siqnal is closed, BOM line data are transferred recursively back to the CAD system Custom Properties on the Parts, Sub-assemblies and sub-parts that are part of the opened main Assembly. The BOM structure in the CAD system is always the master of the fields Item No and Quantity, that is, if items are deleted or added to the Assembly from the CAD system, these items will automatically be removed or added in Siqnal and if the quantity is changed from the CAD system, the quantity will be changed in Siqnal. As the Item No is the key in combination with the filename of the part or assembly, it is essential that the Item No must not change, once assigned. All BOM properties created in Siqnal are copied to the CAD system as custom properties and there is no limitation on the number of properties that can be created in Siqnal. BOM properties are defined in the Siqnal module BOM in the panel group Property Templates under the application tab Settings. Calculation of BOM weights are not integrated, which means that both the CAD system and Siqnal will calculate weights and thus results may vary slightly.